Hi Everyone! This is Casey Reinhardt from Casey’s Cupcakes and I am very excited to be a guest blogger on OC Mom Blog, which happens to be one of my favorite OC blogs. Can you believe it’s already February? I am excited for the new month as it means one of my favorite holidays is around the corner: Valentine’s Day! I love the whole tradition from the flowers and candy to that feeling of love being in the air. 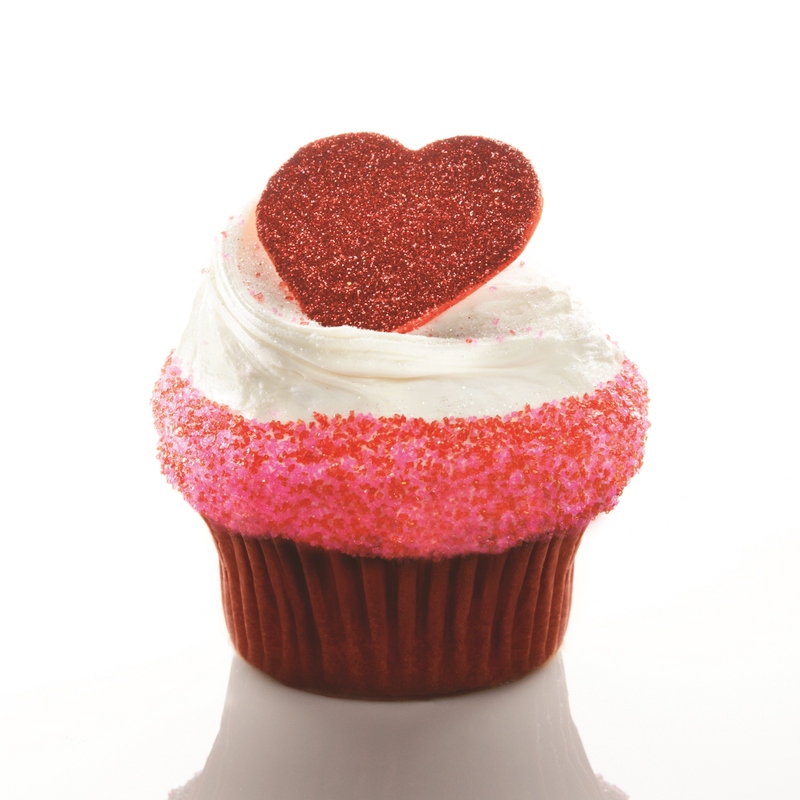 Valentine’s Day also holds another special meaning to me as I opened my second Casey’s Cupcakes location in my hometown, Laguna Beach on February 14, 2011. From a baking perspective I love the holiday because it gives me the perfect opportunity to showcase my creativity by baking beautiful confections using pinks, reds, hearts, sparkles and unique decadent flavors. Since many of you will want to show your loved ones how much you care about them this Valentine’s Day, I thought you would enjoy my tips for how to host a glamorous and romantic party with of course … lots of cupcakes! Sweeten Valentine’s Day parties by creating a romantic table spread perfect for parties! Like my cupcakes, a memorable Valentine’s Day party is all about the details. I love to add unique touches that provide my guests with special experiences such as customizing their own cupcakes or a candy bar – which make the perfect gift to take home too! It’s also a holiday that is synonymous with chocolate and candy so I think doing something different – like decorating with delicious cupcakes will make your celebration stand out above the rest. You can always avoid the hassle in the kitchen and pick up treats from Casey’s Cupcakes for your party. I incorporate a variety of sweet treats throughout my dessert buffets including cupcakes, of course, as well as cupcake lollipops, miniature cakes and cookies. Everything is sweet and petit! When you think of Valentine’s Day you naturally associate the holiday with shades of pink, red and white, and to create a feeling of romance I like to work within this color palette. I like to use bright, vibrant colors to evoke the feeling of romance, joy and love. Beautiful china and gorgeous fresh flowers always make a stunning impact. To create a fun and whimsical setting decorate with apothecary jars filled with candy, candles and lovely linens. For those of you wanting to add a little of my Parisian boutique style with a Hollywood glamour twist to your party, Casey’s Cupcakes delivers cupcakes and caters parties too. We can create custom cupcakes, cakes and cookies and deliver anywhere in the Greater Los Angeles, Inland Empire and Orange County area. For more information visit: www.caseyscupcake.com. They look delicious! Baking cupcakes as valentines surprise is indeed a great idea! Casey: You know we are HUGE fans. What a sweet surprise to see you on OC Mom Blog! Wonderful tips, and fantastic that you have joined the contributor ranks as a subject matter expert in our favorite dessert – cupcakes. My daughter (your biggest fan) will be thrilled to read your article! Now I’m in the mood for a cupcake! Great tips for making this Valentine’s Day awesome! What a great post – love all the fun ideas for a valentine’s party. These are all great tips and man, do those cupcakes look delicious! Thank you for sharing your sweet treat ideas. I am hoping for Casey Cupcakes this Valentine’s Day. Our whole family loves them! I love the idea of customizing each guests cupcakes. These cupcakes look almost too pretty to eat! That would never stop me though. Thank you for the Valentine’s inspiration and ideas!!! Thanks for the great ideas. I was having a hard time getting motivated and your article helped to inspire me. Also great idea about cupcakes!